To maximise the lifespan of your products, we recommend you follow the care and maintenance instructions below. Well maintained products are far less likely to develop faults and will look newer for longer. Instructions below on how to maintain your new door. Instructions below on how to maintain your new windows. 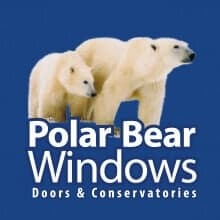 Instructions below on how to maintain your new windows and door which form your conservatory. • It is advisable to carry out routine maintenance twice a year and more frequently if you live next to a busy road. • As a general rule, all parts exposed when the window or door is closed should be washed down with warm soapy water using a soft cloth and dried thoroughly. • Avoid ammonia and abrasive cleaning agents, particularly on handles and other metal filaments. • Parts exposed when the window or door is open should be simply wiped clean, removing grime from old lubricant, airborne debris and remains of insect life etc. You can maintain the condition of your new door by cleaning it once a month. For the door leaf ( and door frame), use a soft cloth and warm, soapy water to remove grit and grime which can build up and cause problems when the door opens and closes. Wipe the door leaf dry with a soft cloth. If there are stained areas or dirt that won’t shift you may need a uPVC cleaning product. Make sure you use the cleaner correctly in order to avoid spoiling the finish of the door. Next, clean the glass with warm water and use a soft cloth. Once the dirt is gone you can finish the windows with a little glass cleaner for shine. For the handle and door knocker, wipe with a clean cloth using a mild soap or detergent and then wipe clean with a dry cloth and buff to a shine. Maintain the hinges of the door with a little oil applied once every six months. This will allow the door to easily open and close. You can also add lubricant or oil to the locks and the hardware of the door twice a year in order to keep everything in perfect working order. • A very light application of petroleum jelly or equivalent will keep the locking mechanisms and keeps in good working order, while a suitable acid and resin free grease or lubricant should be used on sliding bars, gears and face plates. Maintenance of friction stays is critical and it is important to follow instructions for lubrication and adjustment. • Check that all fixings are secure and properly adjusted. Maintenance is important and essential. Keep the friction stay track free from dirt and grime and keep the hinge mechanism clean. Lubricate the metal parts regularly with machine oil, concentrating on the pivot points. Friction can be increased or decreased by adjustment of the turning screw (see A) Turn in a clockwise direction to increase friction. Take care not to over tighten. Some egress hinges combine the opening facility with an easy system, whereby the vent can be slid sideways to allow external cleaning to be carried out from the inside. To utilise the easy clean facility, open the windows normally, then press and hold down the button on both hinges to release the restrictor hinge. Slide the sash across to allow egress (see B). Windows fitted with either Espag or Shoot Bolt Locking Systems will allow the window to remain partly open at night to facilitate ventilation. To engage the window in its night vent position, open the window to approximately 15mm and then return the handle to its locking position. You may feel slight resistance so do not try to force the handle, simply move the window slightly until you find a point where there is no resistance, and close. Check the window is held securely in the night vent position by pushing gently on the vent – if held securely it should not move. Maintenance of locking systems is simple, apply a little all-purpose oil or WD40 to the moving parts, once a year. Similarly, a little grease should be applied to the locking slots to facilitate smooth running.